AirAsia Zest Promo Fare 2015: Have you ever had that feeling of just wanting to pack your bags and go? We've got a promo for your immediate travel needs at http://bit.ly/JustFlyNow! May it be an intense need for break, or sudden awakening of your wanderlust, or a spontaneous & crazy barkada dare, we're sure you can relate! We understand that's why we're here to help you out! 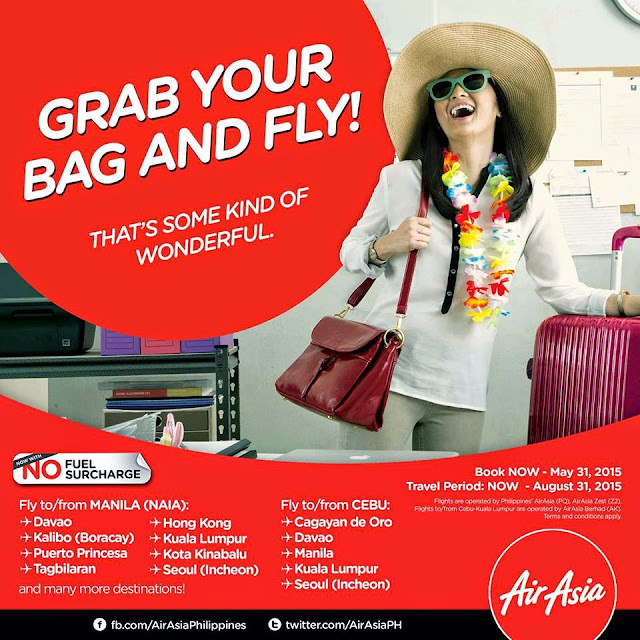 Fly to Cebu, Boracay, Davao, Tacloban, Kuala Lumpur, Hong Kong and many more! Extend your summer and have things your way! Book now and tag your friends along!